On Monday, Matt Baggott surfaced briefly to say the UVF are involved in fomenting rioting in east Belfast. “I am concerned that senior members of the UVF in east Belfast - as individuals - have been increasingly orchestrating some of this violence. That is utterly unacceptable and is being done for their own selfish motives,” he said. Now what would those motives be? We know the boss in east Belfast paddles his own canoe and that in the summer of 2011 he organised rioting in much the same areas as are now suffering. The trouble then spread to the usual places - Portadown, Ballyclare, Larne, Ballymena. At that time the outbreak was regarded as a pretty obvious demand for money which was duly supplied to ‘the community’. What could it be about this time since it’s difficult to see where more money could be shovelled into east Belfast ‘community projects’, which would be dominated by - guess who? How about this? In 2009 Gary Haggarty was arrested by the Historical Enquiries Team (HET) on foot of investigations by Nuala O’Loan some years before. He quickly confessed his senior role in the UVF and became what is known under the Serious Organised Crime and Police Act (Socpa) as an ‘assisting offender’. That’s what they call a supergrass now. Since then he was interrogated by HET, an interrogation which produced, wait for it, an extraordinary 30,000 pages of evidence and 760 interview tapes. 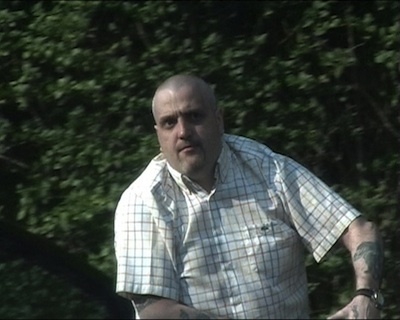 Forty-year-old Haggarty, a self-confessed senior UVF man - some say he was number one in south-east Antrim - has apparently named every senior UVF man in Belfast in the past 20 years and given chapter and verse of murder, robbery, extortion and collusion with RUC Special Branch. Despite being charged with nine serious offences, including murder, on November 22. Haggarty was granted bail under strict conditions and whisked to a safe house, no doubt in England. In other words the deal is done. Haggarty’s case is due to come up this year. It has potentially explosive repercussions for the UVF. Ten days after Haggarty’s bail, individual UVF members were out on the streets of Belfast ‘orchestrating violence’ at the city hall. The prospect of Haggarty’s evidence is giving the UVF the heebie-jeebies. Whereas 30 years ago supergrasses could receive immunity for testifying against their associates, under Socpa they cannot. They are sentenced and then can have their sentence reduced to as little as three years but only if they testify against their accomplices. When Haggarty’s case comes up, he must confess everything he knows or else he goes down for the full sentence. If he does, what will the DPP do? Ignore his testimony? Prosecute senior UVF men named? What do you think? What these very destabilising circumstances in the UVF mean is that even if some solution is found for the flag protests, disturbances will not end in loyalist districts which the UVF control. No wonder graffiti round the UVF Mount Vernon stronghold says, “HET forget the past”. When people say the commotion in unionism is about more than flags they’re right. The consternation in the UVF is the result of the failure of northern politicians to produce an acceptable process for resolving the past. One former proconsul ran away from the best solution proposed so far, the Eames-Bradley report. Since then nothing has been done or is likely to be done under our proconsul who has appeared completely out of her depth in the last month. Until there is a coherent proposal to satisfy victims, relatives and survivors of past violence, piecemeal and random prosecutions will continue to have the potential for destabilising the whole political process here. UVF members out on the streets of east Belfast and elsewhere are giving notice that they can destroy any attempt by Stormont politicians to create a pacified society here. Pretending the disturbances are about flags or Mike Nesbitt’s truly pathetic ‘chipping away at Britishness’ ignores the anxiety gnawing away within loyalism that unpredictable investigations by the HET threaten the UVF more than republicans and worse, that, when the HET’s money runs out in a couple of years, anyone not already prosecuted will go scot free. There has to be a better way.